On Thursday 17th May, we were very pleased to receive a donation from the estate of the late Connie & Frank Oates from Selby. The legacy donation was presented to the Museum by Connie’s sister Mrs Elizabeth Stoker and her nephew Councillor John Cattanach, former Mayor of Selby. Connie and Elizabeth’s brother “Ted” was a Sergeant Pilot in the RAF, flying Armstrong Whitworth Whitley bombers. He was killed in action, aged just 20, in 1940 whilst returning from a mission. His aircraft ditched in the North Sea off Kinloss. The Yorkshire Air Museum and Allied Air Forces Memorial depends heavily on gifts and donations in order to continue its work in keeping alive the memories of so many young airmen. 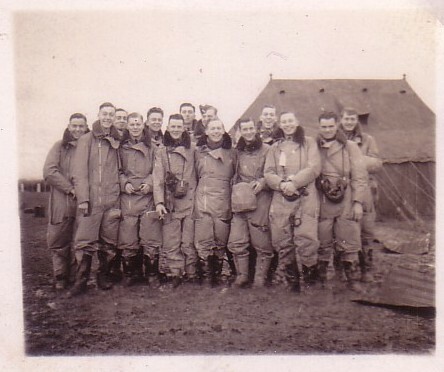 Of the 120,000 airmen who served during WW2, 55,573 were killed in action. Of those who were flying at the beginning of the war, only ten percent survived. The Museum has no other financial backing, unlike many local authority or nationally funded museums. Whilst many museums have a large financial cushion behind them, we face a precipice if we cannot pay our way. Therefore gifts like this are so vital to us, in maintaining this world famous memorial. A fantastic tribute to all the brave Bomber Command who’s bravery and names should never be forgotten.